I’ve made a slight adjustment to the original recipe in that I now try to avoid using silken tofu as an egg replacer in my baking. Rather, I almost exclusively use either unsweetened applesauce, or my current ‘go to’ replacer…1 Tbl of ground flax seed + 3 Tbl of water allowed to sit in the refrigerator for about 15 (preferably 30) minutes to thicken. 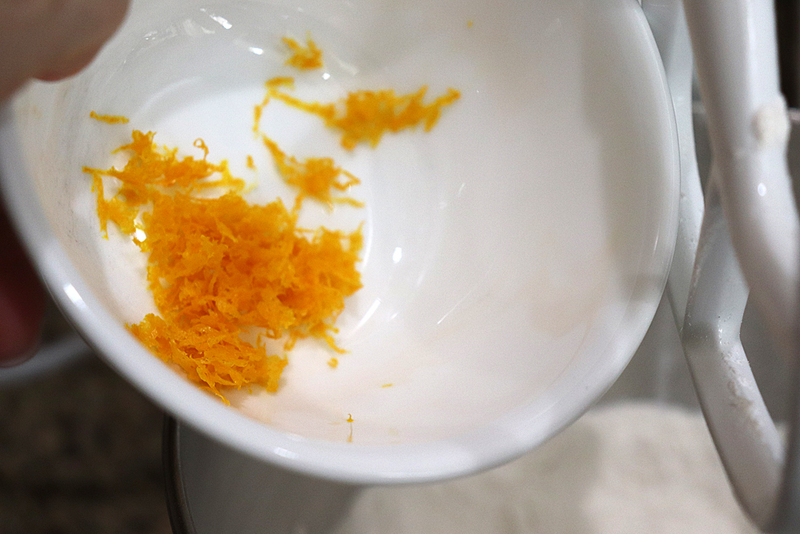 It becomes very gelatinous and perfect for baking. 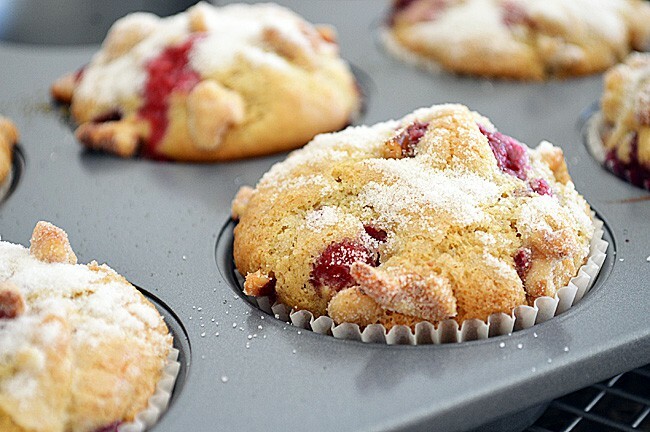 For breads and muffins however, applesauce will work just fine. 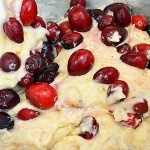 This simple recipe is my mom’s personal favorite holiday sweet treat and we sometimes make it into a loaf. 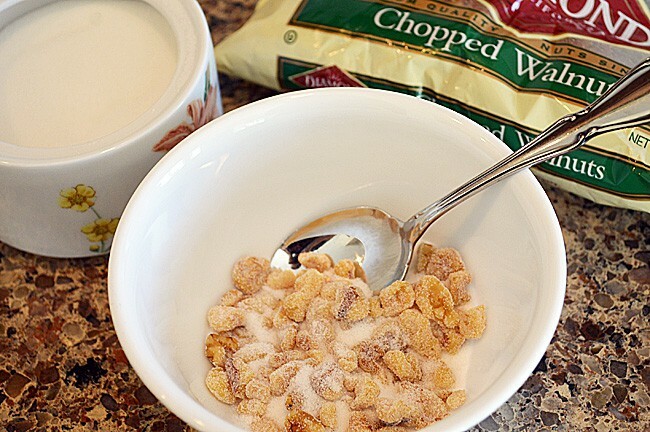 It’s awesome toasted in the morning if you choose to make it this way. 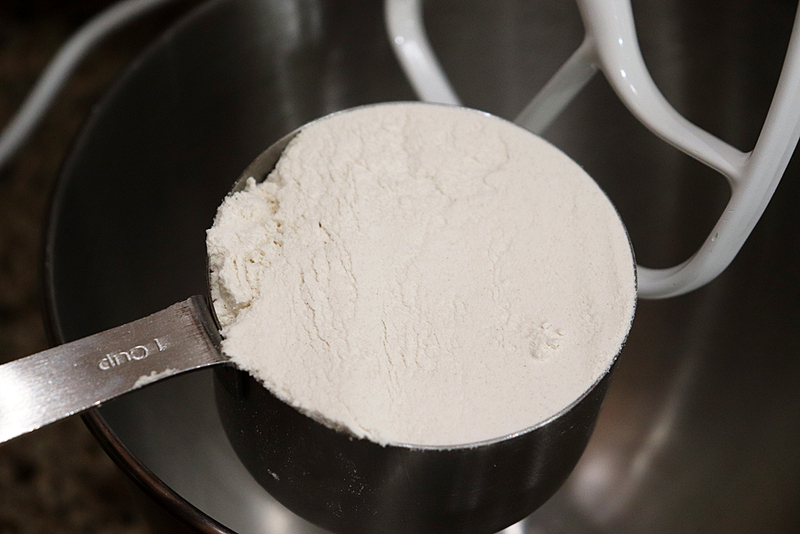 The first step is to combine the dry ingredients, starting with flour. I use all purpose. If you’d like to try making this recipe gluten free, the only flour I have any experience with is Bob’s Red Mill 1 to 1 Gluten Free Blend. Sugar is next. 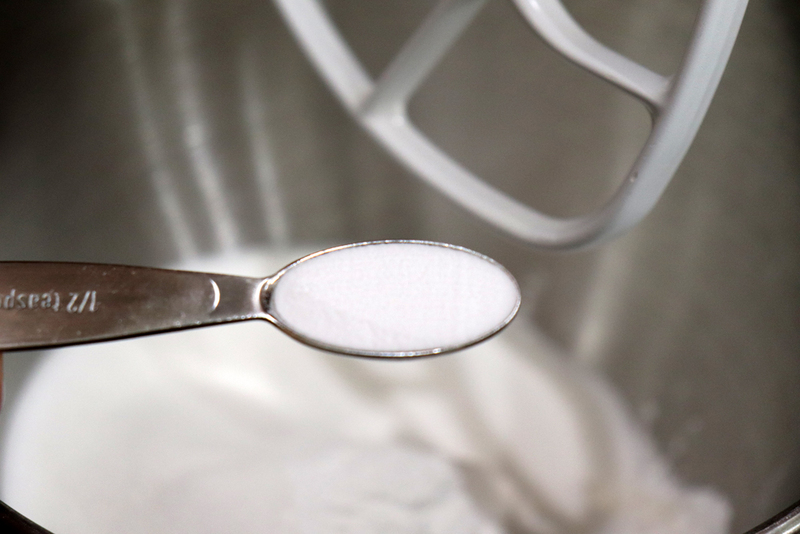 This is your everyday table sugar. 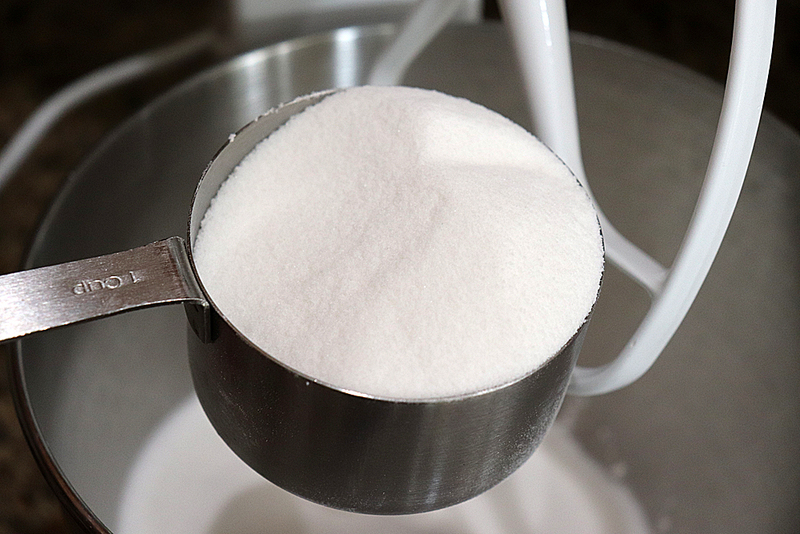 We use a coarse sugar for decorating the top, but you can also use this for decorating as well. It just looks prettier, but if you don’t have it on hand or can’t find it, we’ve used table sugar for years and it’s just as delicious. and salt round up our dry ingredients. I give them a good mix before proceeding. 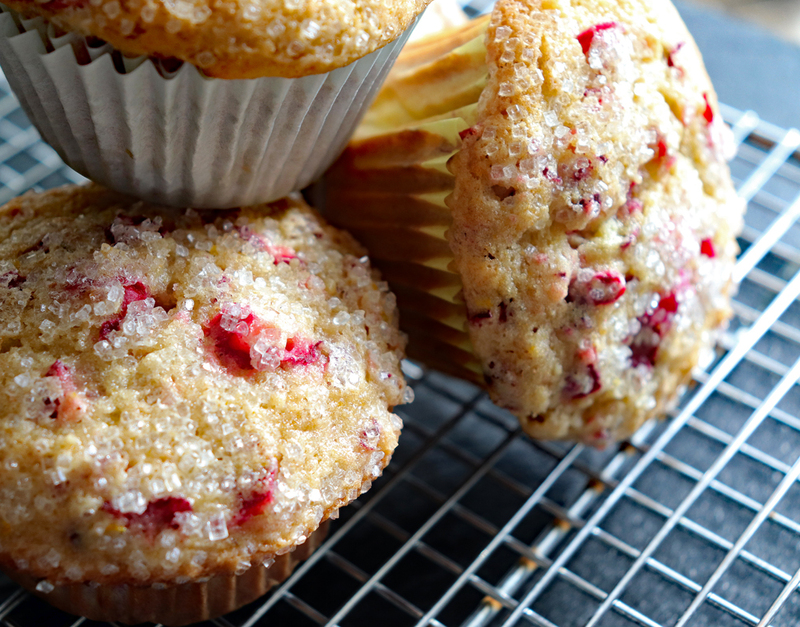 Freshly grated orange zest really give this muffin a lot of flavor. 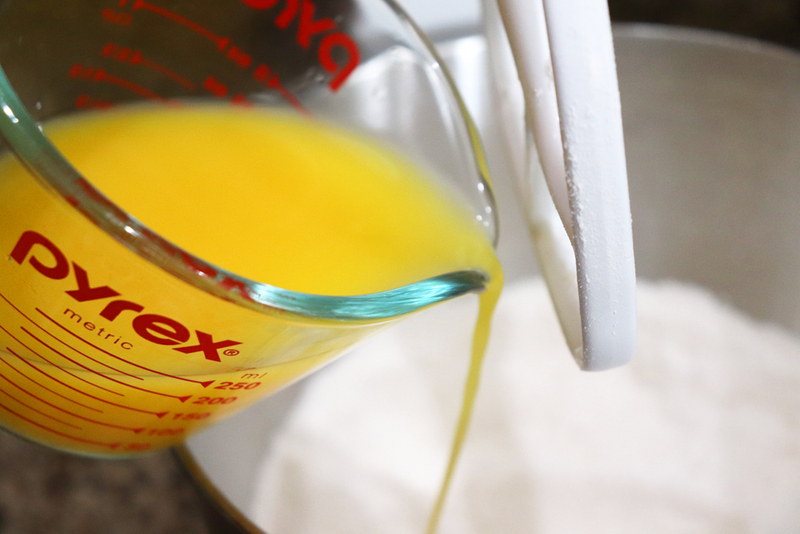 Additionally, to drive home that orange flavor, we use orange juice as part of the liquid in this recipe. Not shown, today we used applesauce as the “egg replacer”. I often use ground flax mixed with water as well. 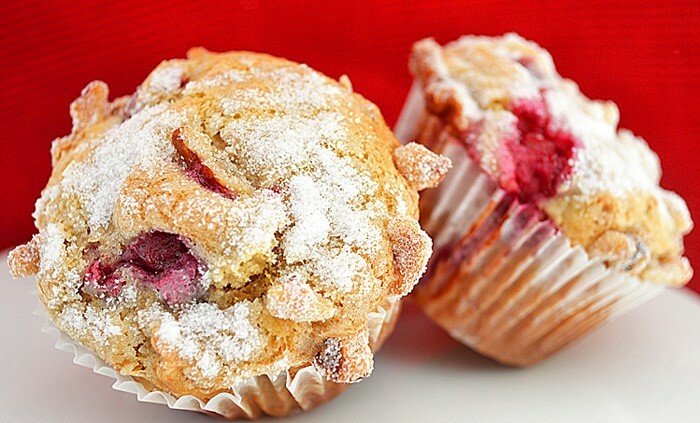 Either work well for baked goods. 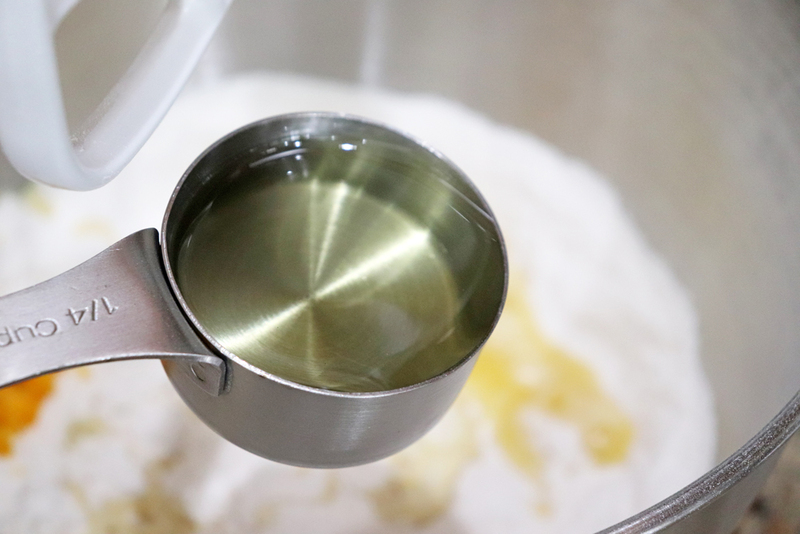 A neutral flavored oil rounds out the liquid ingredients. 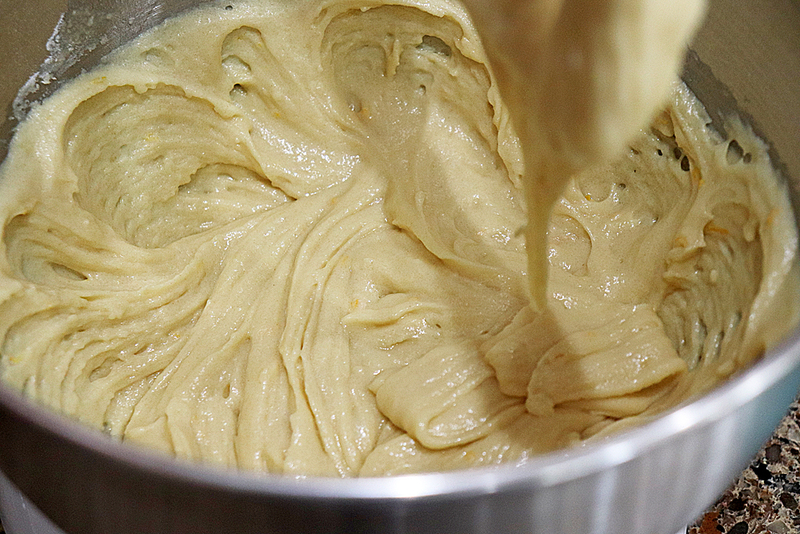 So here’s our batter. 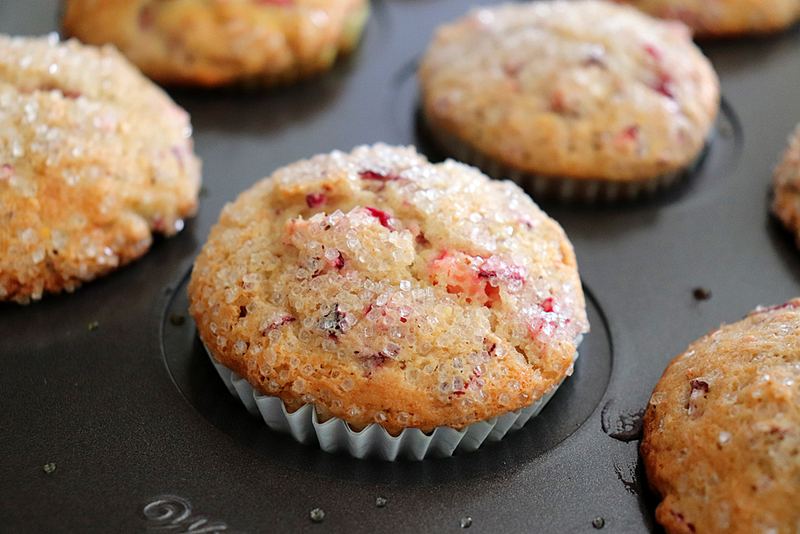 You’ll want to fold in the nuts and cranberries. 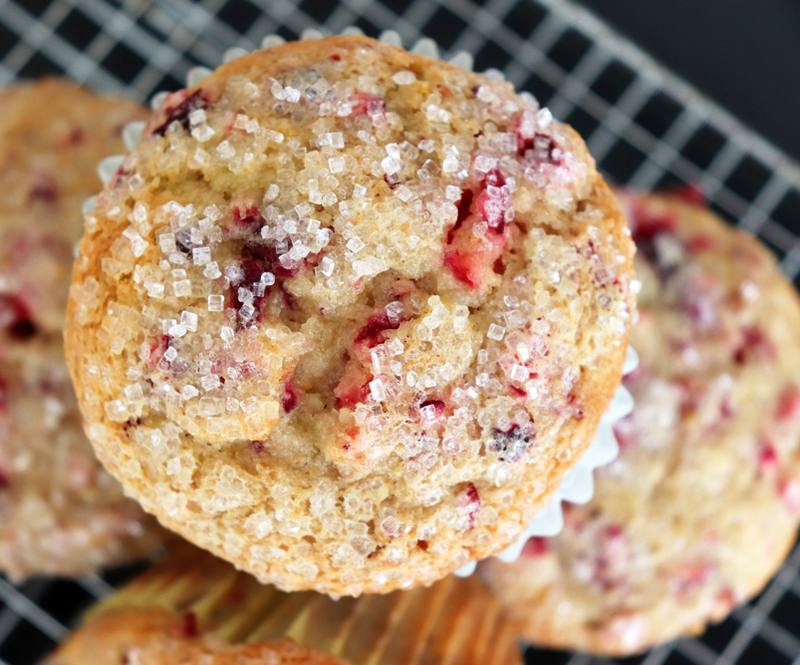 I just used a food processor with the chopping blade and fresh cranberries here. I buy them when they are in season and freeze the entire bag until I am ready to use them. 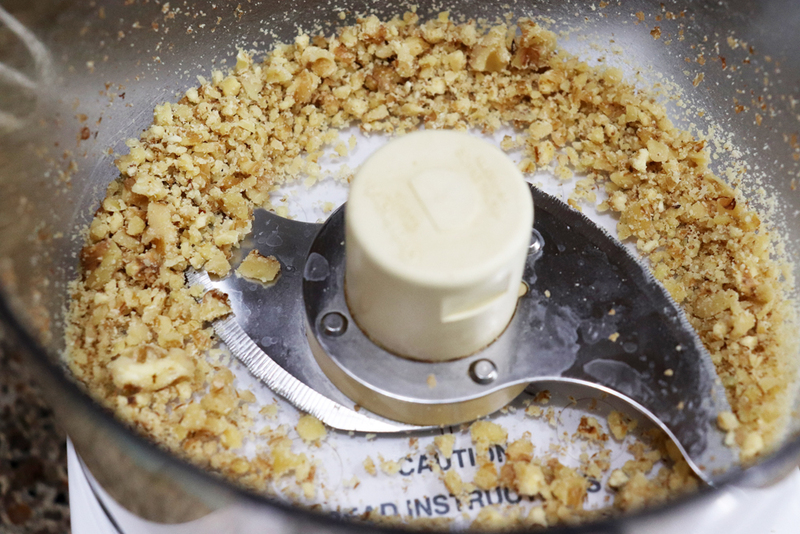 I also processed up some walnuts. 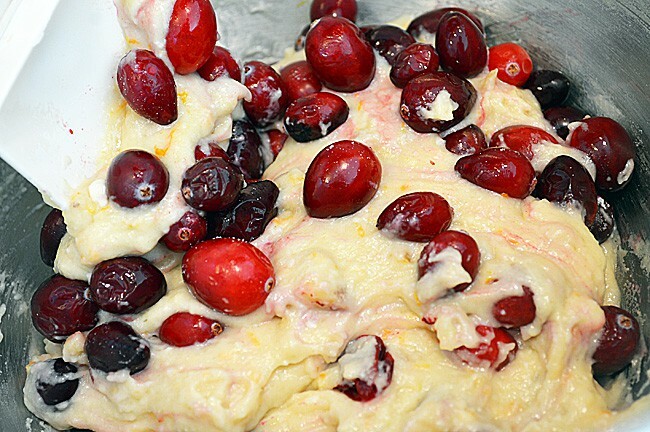 The walnuts are added to the batter first as we don’t want the cranberries to give our batter too much of that pink color. A gentle folding is all that’s required. They do get a bit pink, but aren’t they pretty? 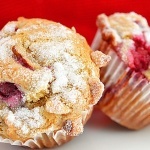 Using a large ice cream scoop, place the finished batter into muffin (or cupcake) papers and bake in a preheated oven. 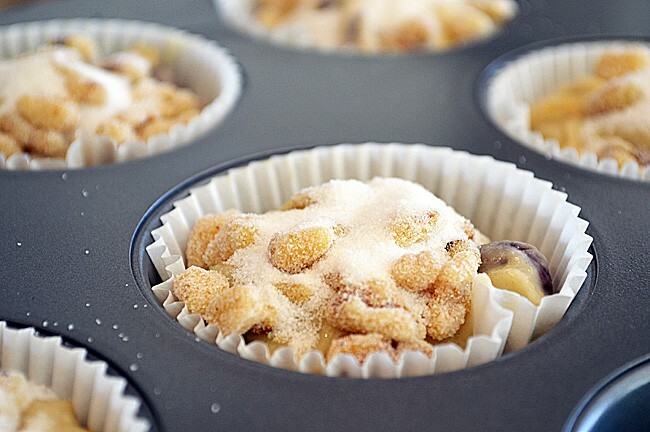 The final step is to sprinkle the tops with sugar. 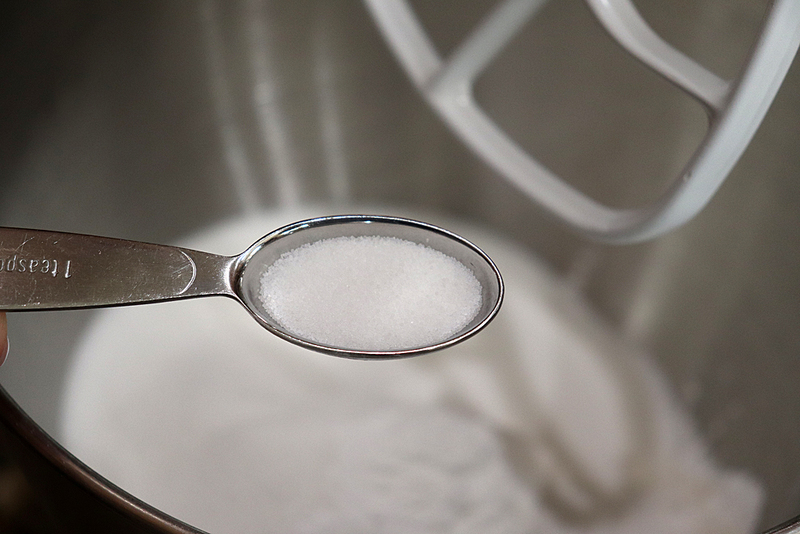 Again, use coarse sugar if you have it or plain table sugar if you don’t. Allow them to rest in the pan for just a few minutes to firm up, then remove to a cooling rack to cool completely before storing. They are best enjoyed fresh and covered, will tend to soften a bit. We like to warm them up and serve with a bit of vegan margarine and a hot cup of tea. 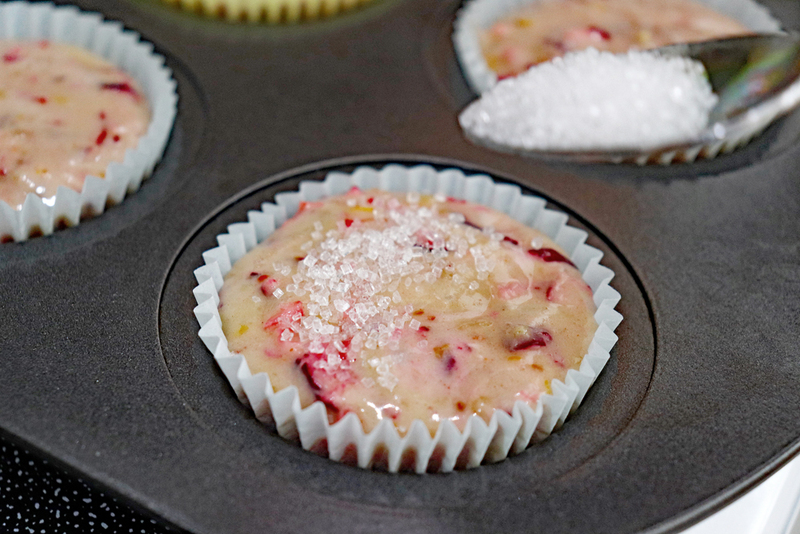 If you’ve tried this recipe, let us know in the comments below. It’s always fun to see how readers make it their own 🙂 Enjoy! 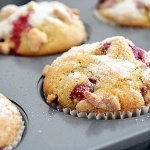 Prepare a muffin or cupcake pan with cupcake liners. 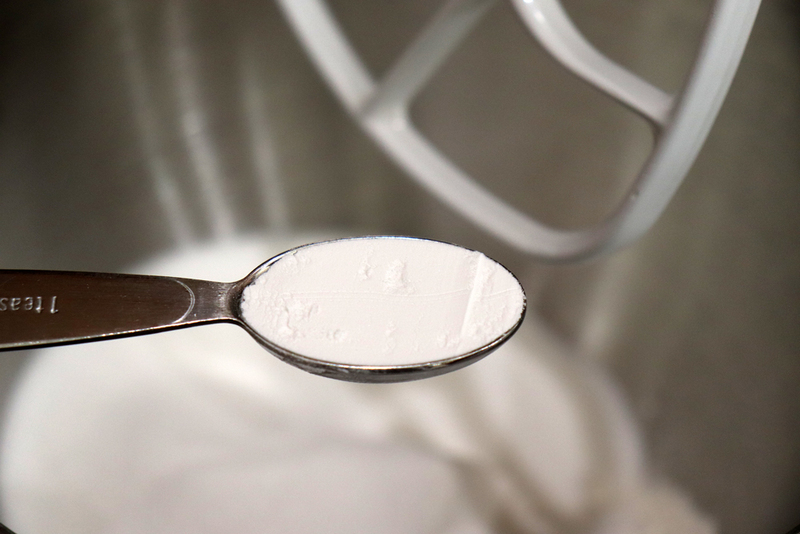 Combine flour, sugar, baking powder, salt and baking soda. 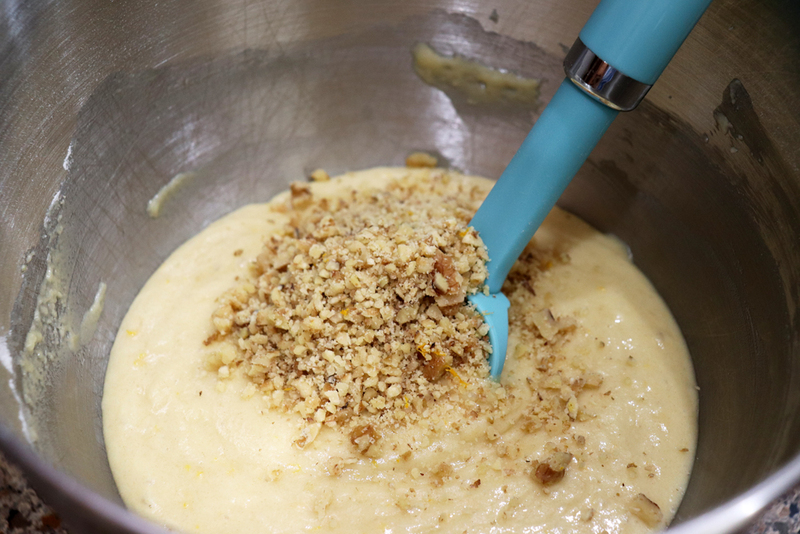 Add orange zest, orange juice, oil and flax mixture (or applesauce if using that as your egg replacer). 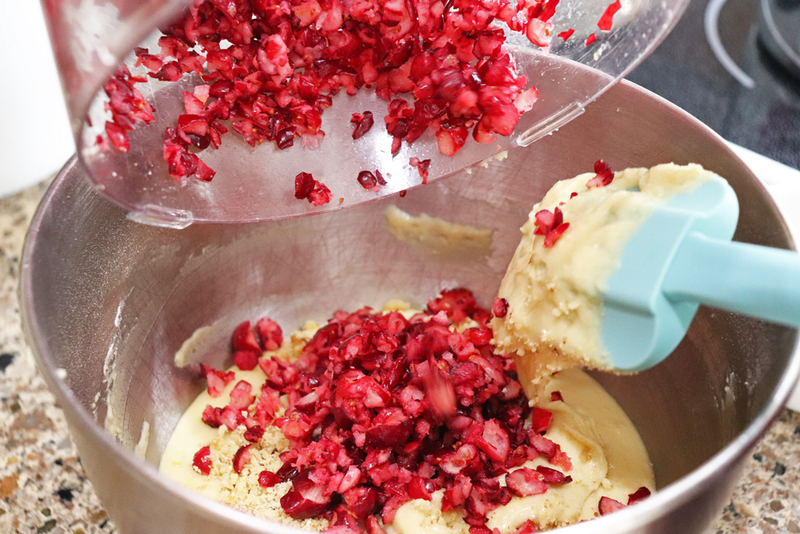 Blend just until moist. 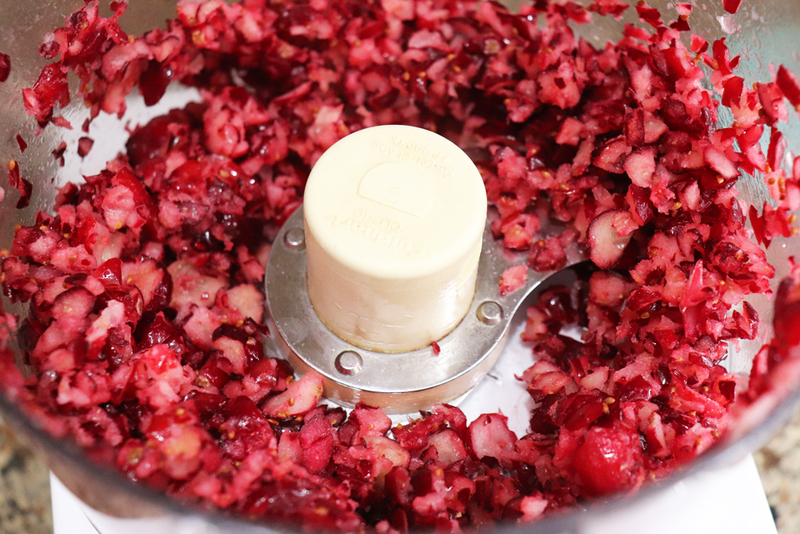 Fold in cranberries and walnuts by hand. 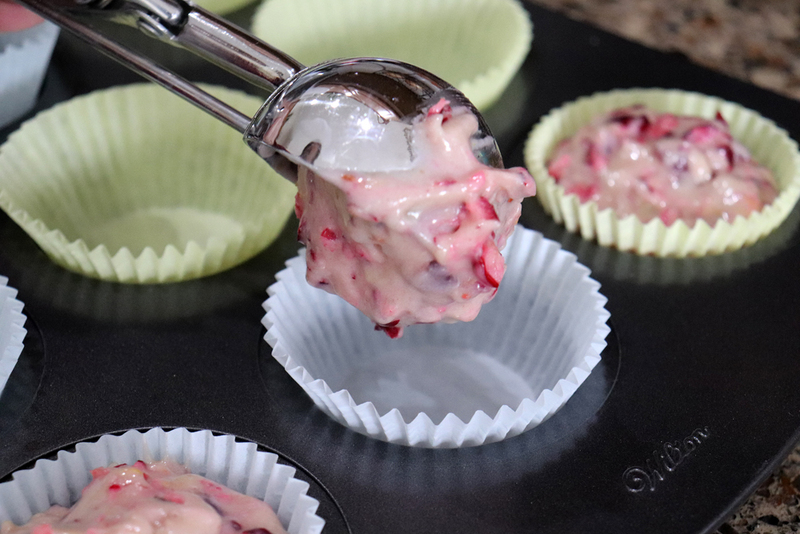 Using an ice cream scoop, divide batter evenly between 16 cupcake liners. 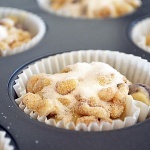 Combine the reserved sugar and walnuts and sprinkle the tops of each muffin. Bake for 15 minutes and then cool on a wire rack for 10 minutes. Remove and cool completely. 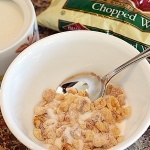 Store in an airtight container or freeze in freezer bags. Please sign me up for your emails and recipes. What can I use instead of ground flax seed? I’m deadly allergic to flax.